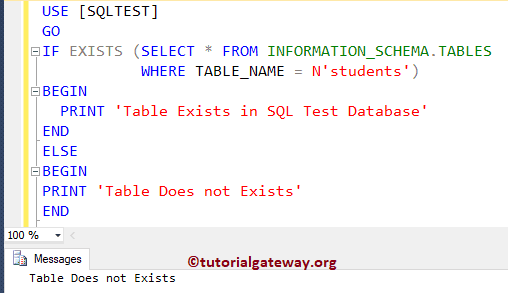 In this article we will show you, How to check if a Table exists in SQL Server or not with example. This is one of the SQL Server Frequently Asked Question. TIP: Before you start creating A TABLE, It is always advisable to check if a Table exists, or not. 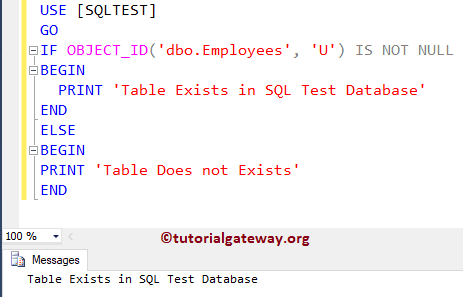 In this example we will show you, How to check whether a table exists in SQL Server or not using the OBJECT_ID. Here we used the IF ELSE statement to print different output (Message) based on the condition. 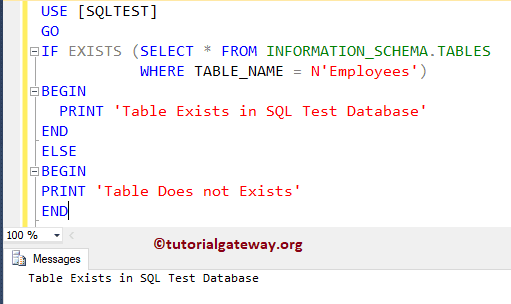 In this example we will show you, How to check whether a table exists in SQL Server or not using the Information_schema.tables. Now, let me try with the table that don’t exists. 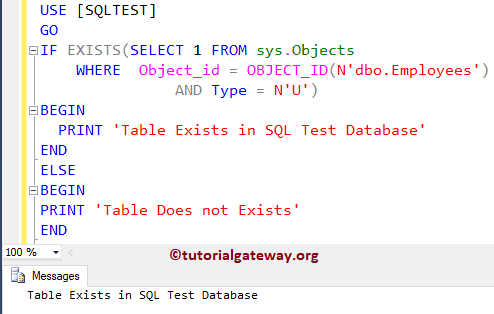 In this example we will show you, How to check whether a table exists in SQL Server or not using the sys.Objects. 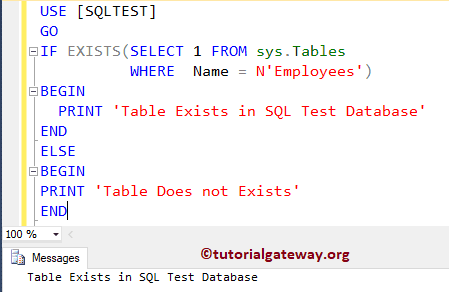 In this example we will show you, How to check whether a table exists in SQL Server or not using the sys.Tables. 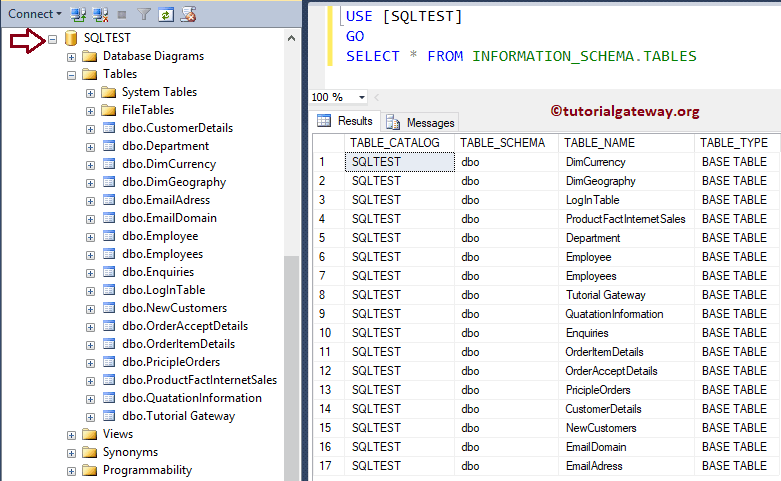 Let me show you the available columns present in the sys.Tables.